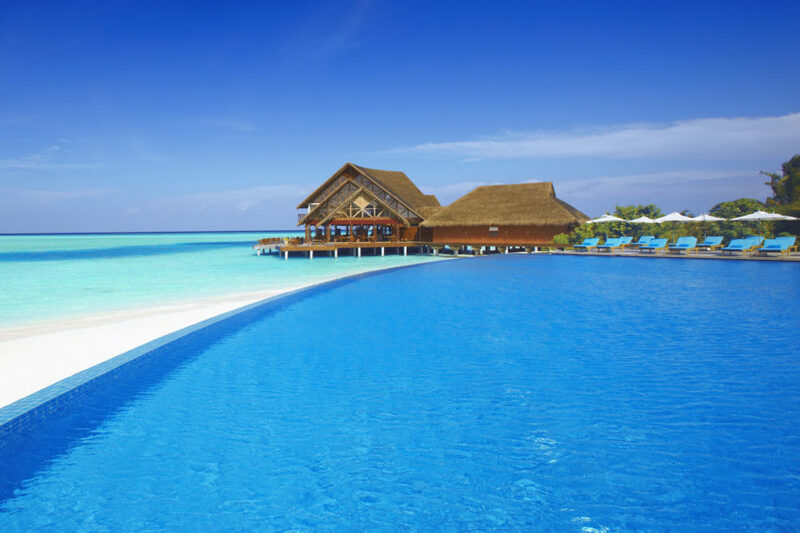 The Jumeirah Dhevanafushi is a stunning resort located in the Maldives. The hotel seems surrounded by an infinity of water, making it the perfect destination for a stay filled with relaxation. 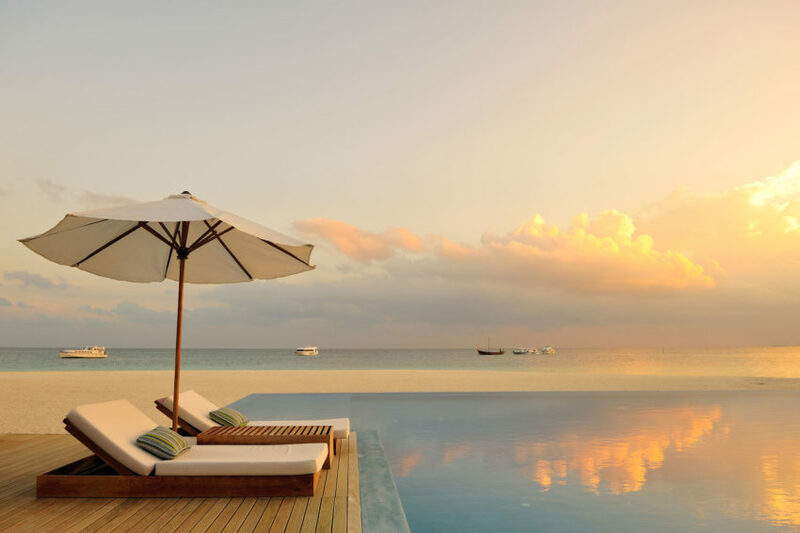 Niyama Maldives is a stunning getaway located in the Maldives. Surrounded by clear skies and water, the location is a veritable paradise, and the hotel is the perfect complement for your stay. 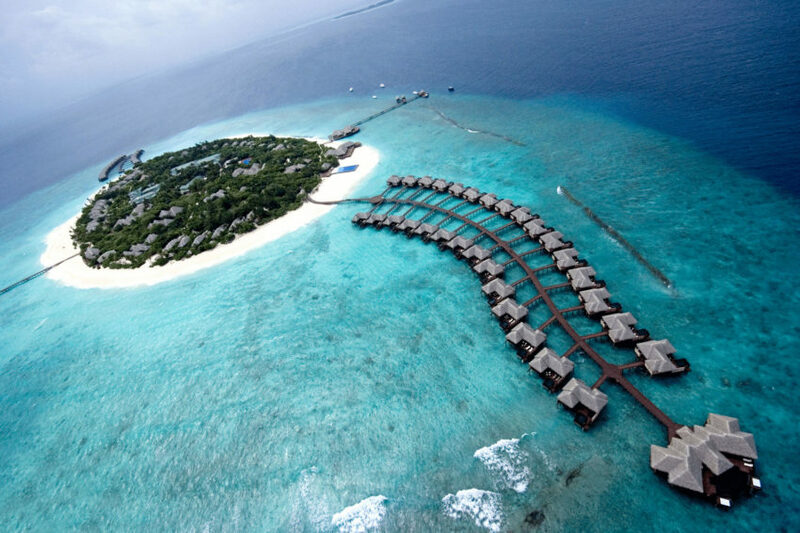 The Lily Beach Resort & Spa is located on the island of Huvahendhoo, in the Maldives. The stilt structures of the hotel echo the natural shape of the island, forming a mandorla of cabins that stretch over the bright blue sea. 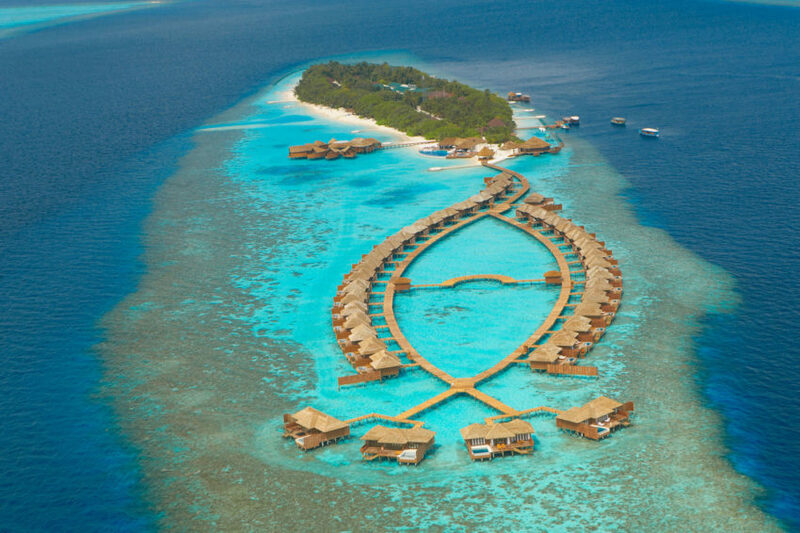 The Gili Lankanfushi is a paradisaical resort located in the Maldives. The complex is imbued with color at every turn, from the green and blue of the sea and sky, to the bright green of its vegetation. 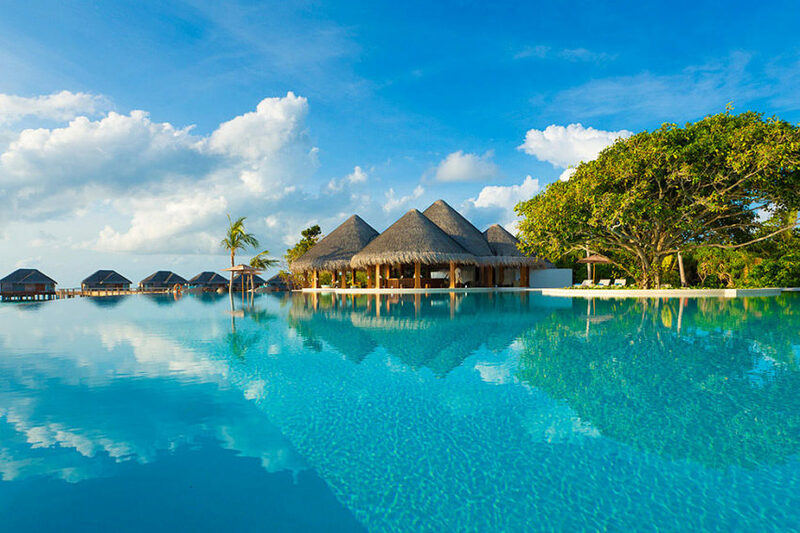 Velassaru is an island resort located in the Maldives. The island is paradise on Earth, surrounded by a great expanse of blue sky and aquamarine sea and covered by green lush vegetation. 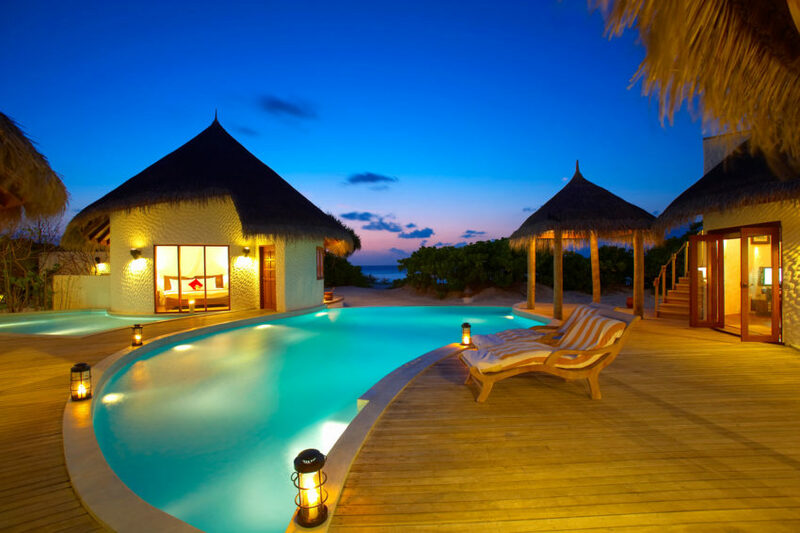 Maafushivaru is a luxurious island resort located in the Maldives. A true natural gem, the island is the perfect a backdrop for a decadent getaway. 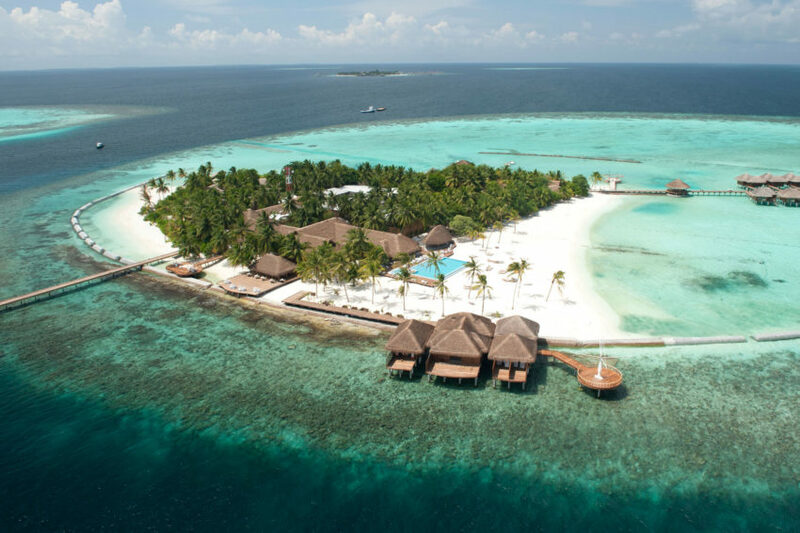 The Island Hideaway at Dhonakulhi Maldives, Spa Resort & Marina is located on the uninhabited virgin island of Dhonakulhi, in the Maldives. The island is isolated from civilization without sacrificing human comforts and luxuries, making it the perfect getaway location. 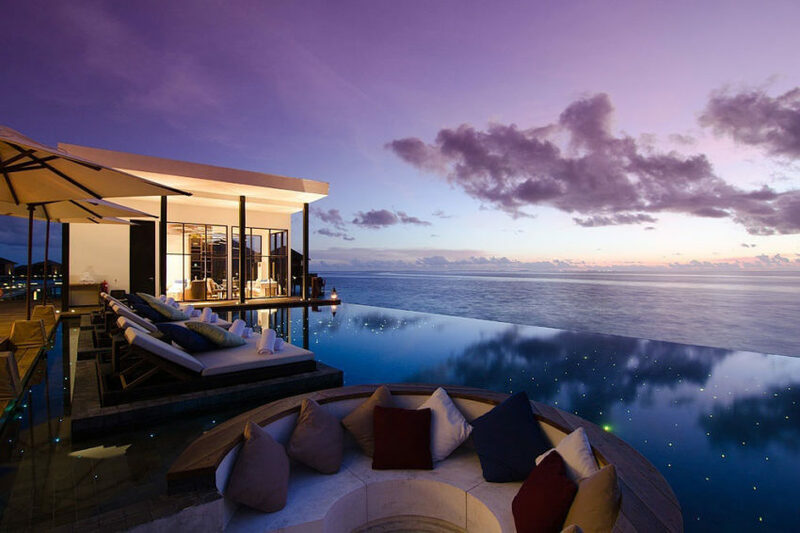 This stunning paradise is the Angsana Velavaru, located in the Maldives. Of a surreal architectural design, the hotel is surrounded by crystalline waters and perpetually clear blue skies. 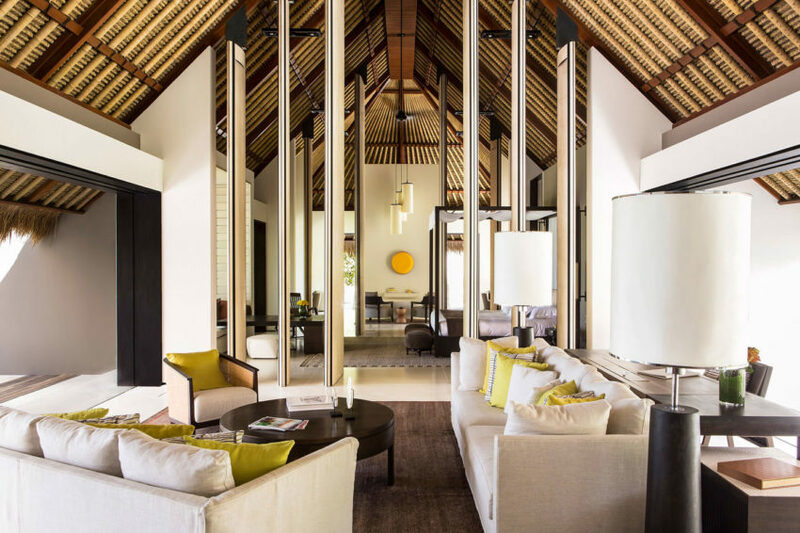 Hidden in the northern most atoll of the Maldives, Beach House Iruveli offers a 5 star level of serenity unsurpassed and unparalleled luxury to the discerning few. This idyllic retreat sits on an exclusive 35 acre private island fringed by powder white beaches and a jungle filled interior. 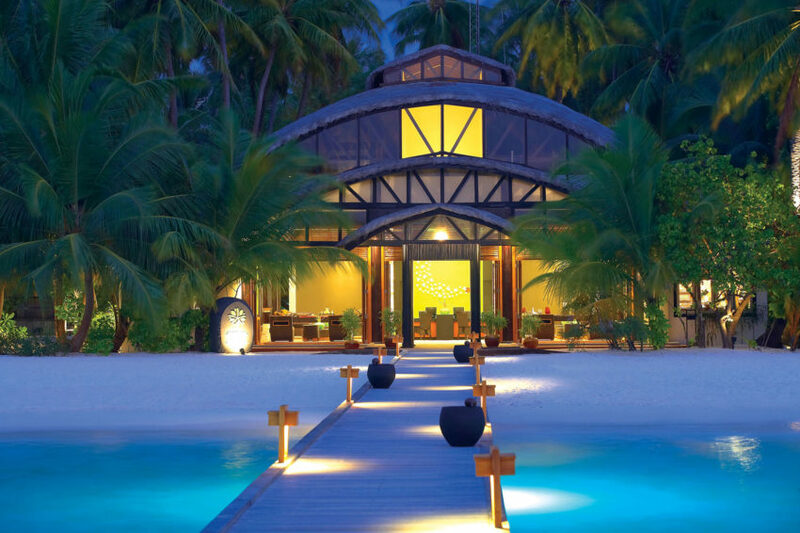 Coco Privé Kuda Hithi Island is a stunning getaway resort in the Maldives. The interior is stylish and sophisticated, with large windows and openings constantly inviting its guests to venture out of doors. 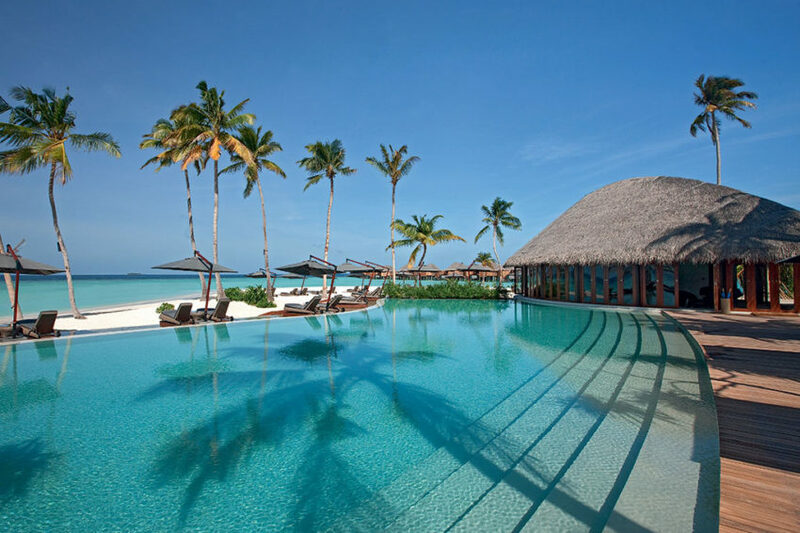 The Dusit Thani Maldives is a stunning hotel located on Mudhdhoo Island, in the Maldives. A spectacular green dot in a sea of blue, the resort provides its guest with a taste of paradise. 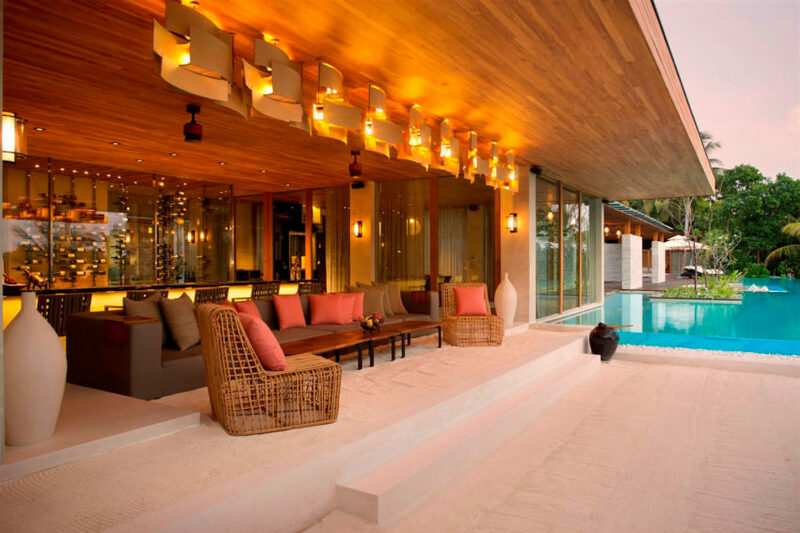 This W Retreat & Spa is located in Maldives. 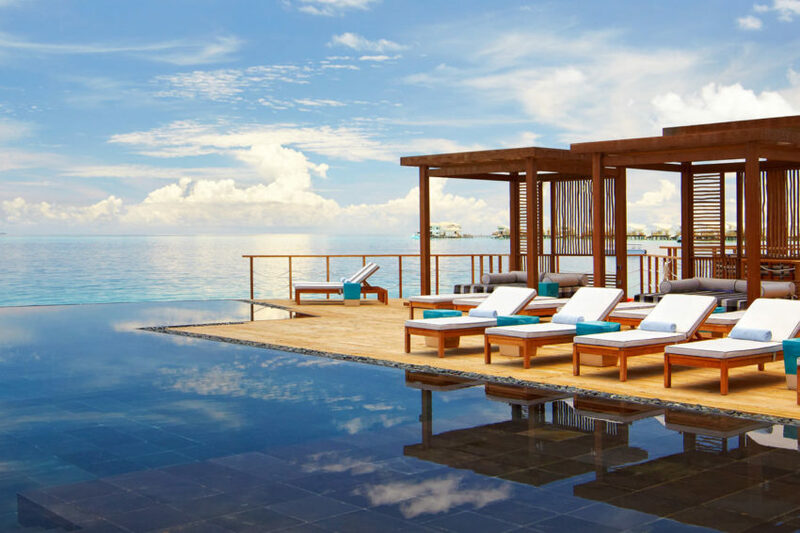 The hotel is surrounded by an expanse of blue that blends the sky with the ocean, creating the perfect atmosphere for a holiday filled with relaxation. 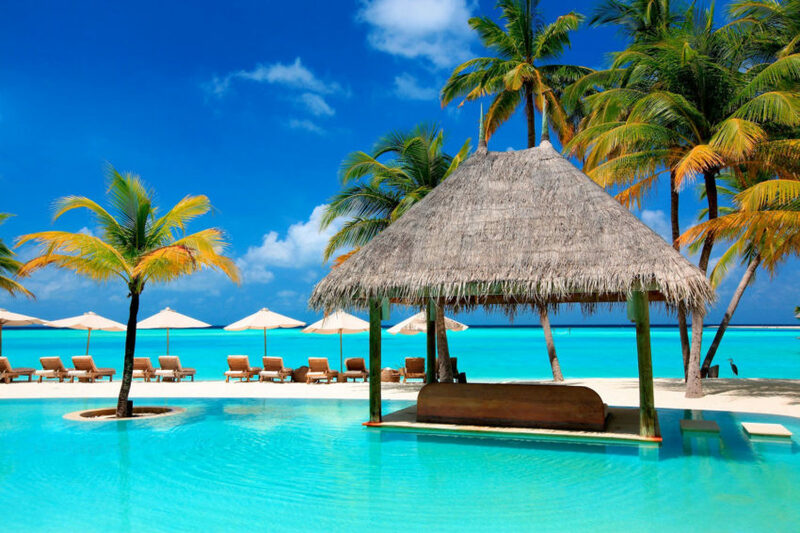 The Anantara Dhigu Resort is a paradisaical haven located on Dhigu, on the Maldives. The interior of the resort huts is brimming with stunning elegance, and the spectacular view of the ocean as it meets the sky in the horizon is the ultimate treat. 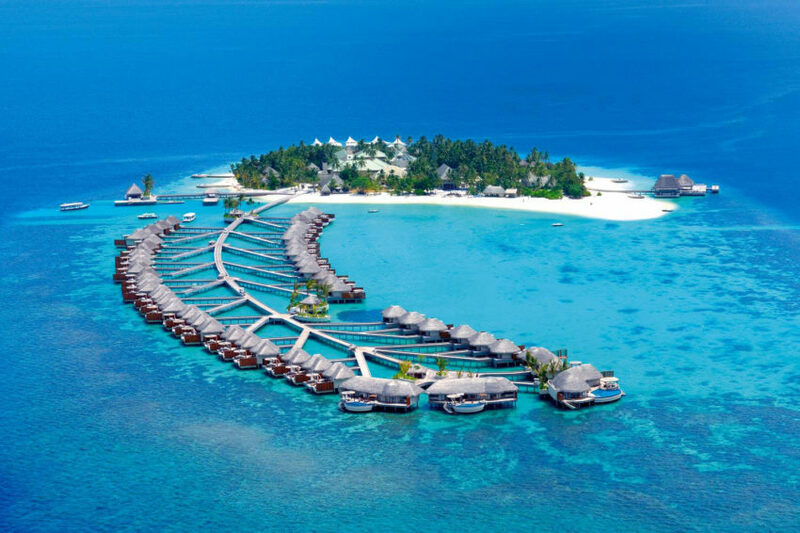 The Constance Halaveli Maldives Resort is located in Alifu Alifu Atoll, in the Maldives. The resort cabins are exquisitely decorated, and provide for the resort’s guests every luxurious whim. 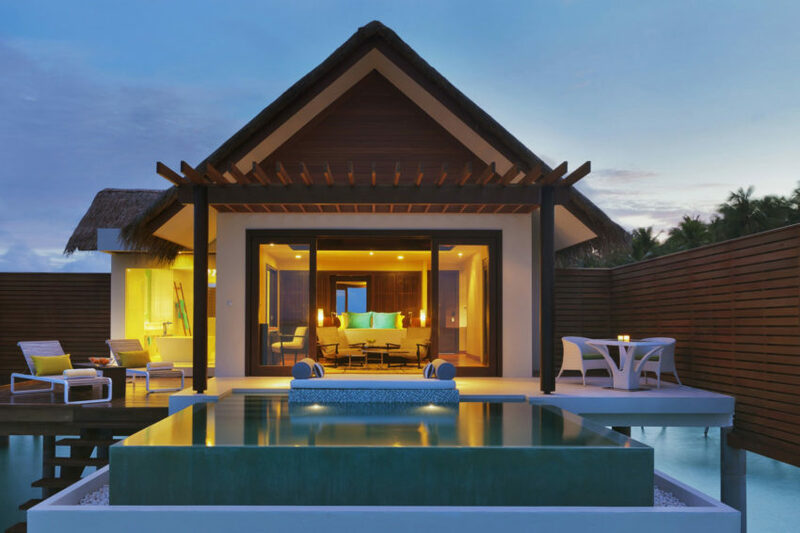 The Cheval Blanc Randheli Hotel is located in the Maldives. Surrounded by clear blue-green ocean water, this stunning resort features charming huts elegantly furnished with anything and everything one could possibly need while in paradise.